The problem with making a documentary about recorded music is that, well, there’s a lot of it. It’s a hurdle that the eight-part PBS documentary series Soundbreaking: Stories From The Cutting Edge Of Recorded Music runs into during its very first episode. From the title cards on down, there’s an implication that Soundbreaking’s focus will be on the studio environment, and how it informs an artist’s creation. And while that’s partially true, episode one, “The Recording Artist,” establishes a scattershot approach to storytelling that’s both illuminating and frustrating in nearly equal measure. “The Recording Artist” puts the focus on how musicians work in recording studios, using The Beatles as an example of a band that relied heavily on a producer—the “fifth Beatle,” George Martin—and those that were more insular in their approach. In an attempt to showcase as many different musical styles as possible, these 50 minutes are spent jumping wildly from artist to artist without forging much of a connection between them. “The Recording Artist” features compact profiles on the likes of the aforementioned Beatles, Elvis Presley, Yusuf Islam (formerly known as Cat Stevens), Joni Mitchell, Sly And The Family Stone, and more, but the result is that each artist is given only a couple minutes of screen time before Soundbreaking moves on to the next. With original interviews with some of these artists, there’d be plenty of material to dedicate full sections to them. But more often than not, they are discarded just as quickly as they are introduced. The result of this shotgun approach to storytelling is that it’s often hard to grasp each hour’s thesis without some guidance. In some episodes, such as the exceptional third installment, “The Human Instrument,” narration is used to establish the premise. In this case, it’s the singing voices of powerhouses such as Adele, Amy Winehouse, and a handful of others. Part of this episode’s strength is that it highlights the access the creators were given and how effectively they used it. 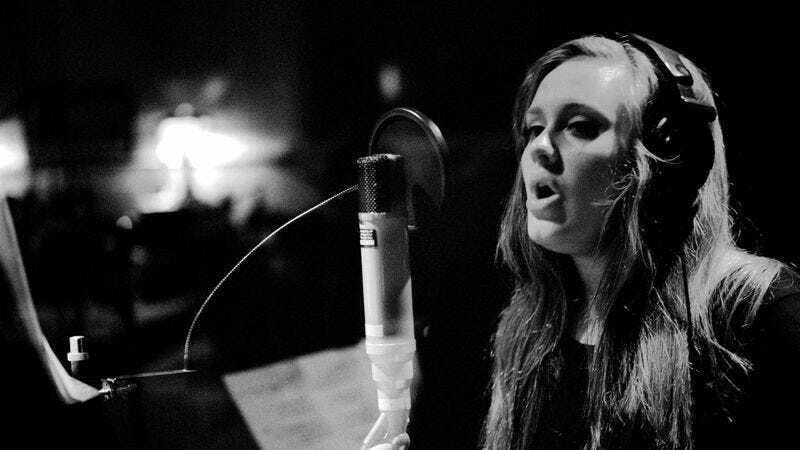 Early on, Adele producer Paul Epworth is found revisiting the individual tracks from the session that spawned “Rolling In The Deep.” As Epworth pushes faders up and listens to the isolated performances—be it Adele’s masterful singing or the sound of her stomping her feet on a hardwood floor—you see him realize what magic he captured, while the audience gets a peek at this intimate moment of reflection. What “The Human Instrument” also establishes—and is so crucial to the series’ effectiveness—is why people care so deeply about music. 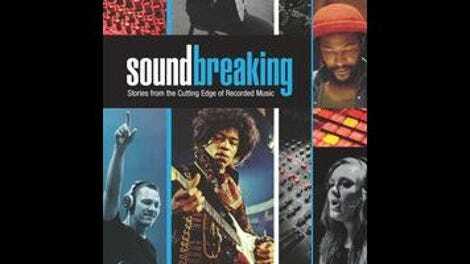 When artists, producers, record executives, and the like speak about the effect certain recordings have on them, Soundbreaking is urgent and enthused. But when the series gets caught up in the nuts and bolts of it all, it’s often harder to latch onto. While the following episode, “Going Electric,” chronicles the move from acoustic guitars to electric ones, splintering into sections on synthesizers and the use of computers as a means of music production, it once again touches on the connection artists feels to the instruments they hold in their hands. It’s in these sections that Soundbreaking teems with excitement, putting together tight narratives that are by no means exhaustive, but content in the story they tell. Sadly, the series doesn’t always maintain that balance. Part of the issue is that, in an attempt to cover the earliest pieces of recorded music up to the modern day, plenty of things get leapfrogged over. In “The World Is Yours,” which puts its eye on the history or rap music and sampling, the documentary seems to taper off in 1993, with the release of the Wu-Tang Clan’s iconic Enter The Wu-Tang (36 Chambers). It does make mention of Kanye West, but nearly 20 years of hip-hop history is omitted, making it seem like a past curiosity instead of the vital, evolving sound it continues to be. And this says nothing of Soundbreaking featuring numerous interviews with Q-Tip but never so much as mentioning A Tribe Called Quest or the Native Tongues collective. There are similar gaps in knowledge—the concept of underground and independent music is almost entirely ignored—and the series often sugarcoats some of music’s harsh truths. While Soundbreaking notes that Elvis Presley and Led Zeppelin stole from black artists, these things are said in passing, barely exposed for the cruel facts they are. Likewise, when Soundbreaking mentions that Joni Mitchell had it written in her contract that she’d never use a producer, it features an audio snippet of her claiming it was due to sexism in the music industry, but that topic is never revisited (Soundbreaking features both Dr. Luke and Afrika Bambaataa at various points). And that speaks to Soundbreaking’s biggest hindrance: It rushes to connect so many scattered dots, it loses sight of the plot in the process. The episodes are tightly edited, but that’s often at the expense of a cogent narrative structure. Episodes start in the modern day, only to jump backward, and then forward, and then backward again, giving episodes a jumbled timeline. In the case of “Sound And Vision,” which chronicles the rise of MTV, Soundbreaking gives the impression that MTV Unplugged launched with Eric Clapton’s 1992 performance, when it actually premiered three years earlier. Taken on the whole, Soundbreaking is a noble endeavor with muddled results. Certain episodes, such as “The Human Instrument,” wisely focus on the intangibles, which the series actually does a masterful job of tapping into. Hearing singers discuss their insecurities and pursuits of perfection makes for something much more compelling than a retelling of facts and dates. But the series wavers, in tone, narrative style, and approach, unable to hold those high notes for very long.